Passenger Transport Industry | RFID Solutions - GAO RFID Inc. The Passenger Transport Industry includes sectors such as airport, railway and port and harbour operations, services such as taxis, limousines, and bus charters, as well transit and school bus transportation. In every sector, organizations are looking to make operations more efficient, while keeping costs low. Being a customer-facing industry, ways to improve service are also a priority. 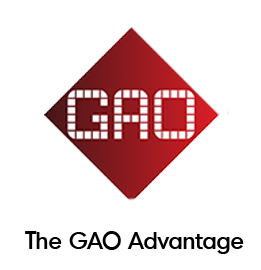 Using GAO RFID’s suite of solutions, the Passenger Transport industry is able to address these needs. The Passenger Transport industry faces the challenge of keeping their fleets in operation and the desire to make the travel experience convenient for passengers.Organizations are looking for ways to track vehicle and machinery parts and improve internal processes while striving to simplify baggage and cargo handling and speed up passenger ticketing and queue times. The Passenger Transport industry relies on state-of-the-art equipment to deliver its services; this means that the monitoring and maintenance of these assets are always a top priority. There needs to be a way to quickly receive vehicle maintenance information, or tracking parts as they are ordered and arrive for installation. Other equipment such as food trolleys, utility vehicles, and wheelchairs all need to be tracked and monitored so that they can be located when needed most. By tagging your equipment with RFID tags, expensive aircraft, vehicle, and vessel assets can all be tracked to ensure total visibility of your equipment’s location and utilization. An ongoing concern is the handling of passenger baggage and cargo. The ability to quickly verify baggage, ensure cargo has not been tampered with, and track its location are important functions that allow the industry to provide outstanding service to its customers. All cargo and baggage can be tagged with RFID tag to enable quick handling, tamper monitoring, and location tracking–ensuring nothing is lost during transport. Having large teams of personnel performing different tasks at different hours of the day requires constant information regarding employee attendance and location. Such a system needs to be able to integrate with existing payroll software to automate HR processes. Assigning wearable RFID badges to all personnel to easily monitor attendance and locate personnel. The information can be exported to existing payroll systems, helping to make HR processes more efficient. There are many different zones within passenger transport facilities. Airports, stations, ports, and terminals all have areas that need to controlled to only grant access to screened passengers. Keeping access to these zones secure and deterring trespassers are top security functions. Provide RFID tickets and badges to grant passengers access to special zones during pre or post boarding. The goal of the industry to make every passenger impressed with the service they receive. Guests are concerned about long queues, and prefer to have access to real-time travel information. Being able to deliver on these pain points makes for a personalized experience for the customer. RFID technology can help to simplify ticket collection, prescreen passengers resulting in shorter queues, and identify each guest individually for a truly personalized experience.